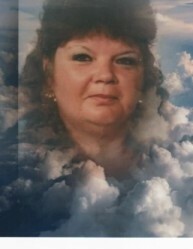 Obituary for Bonnie Gail (Hunt) Cain | Herald & Stewart Home-Funerals, Inc.
Bonnie Gail Hunt Cain, of Mt. Sterling, passed away Monday, April 8, 2019. She was a 65 year old native of Louisville, Kentucky, daughter of the late Henry and Lena Manley Hunt, a housewife and member of Highland Baptist Church in Brandenburg. She is survived by 2 daughter, Ida Frances "Heidi" McMillen and Susie Dages, 4 sons, Jesse (Brittany) Cain, Lynn Cain, Dennis (Beverly) Cain, and Scott Cain, 12 grandchildren, 9 great-grandchildren, a brother, Sam Hunt and 2 sisters, Sharon Denny and Anna Hunt. She was preceded in death by 2 sisters, Janice Parks and Frances McMillen, a daughter, Ellen Cain and a grandson, Tucker Wimpee. Her celebration of life will be 4-7:00 Thursday at Herald & Stewart Home for Funerals.